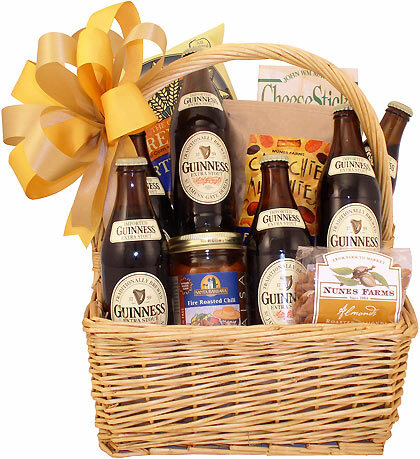 This is the basket that you send to someone in need of a smile, a hug or a promise of better things to come. It's the gift that says "I'm right there with you." Send it to your best friend when he welcomes a new addition to the family or your father when he finally slips into retirement. 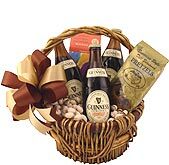 If you wish you could be there or just hope to send a message of cheer, this is the feel-good beer basket that will make your intentions clear. 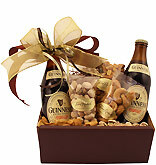 With every sip of the Guinness and dip of the chips, they will know that you care enough to send the good times their way. 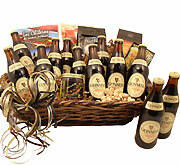 I bought this beer basket for my husband, and it was a big hit. 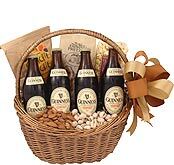 For a man that has everything and loves Guinness this is the way to go. Great beer and presentation! He told me he was impressed with the quality. Why don't you ask the person who received the gift? I'm not a beer drinker! My brother, whom had just had surgery, really liked it. Recipient loved it. Liked the basket but it was a little pricey.